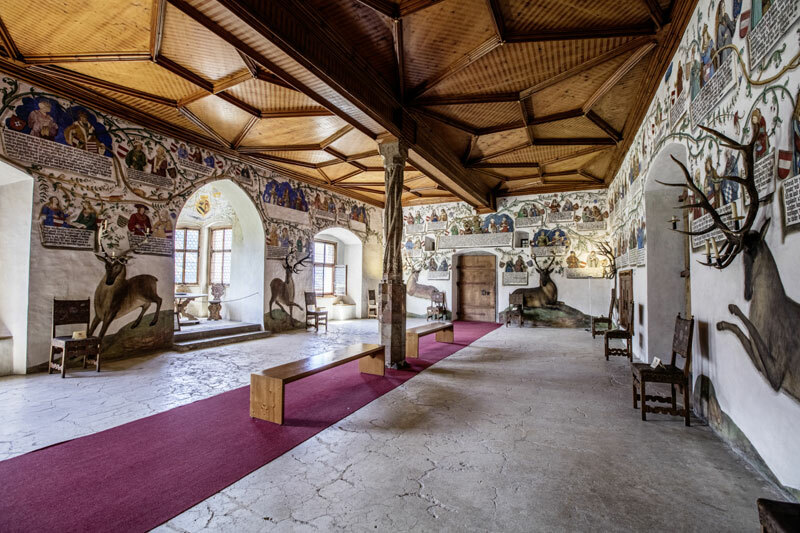 In the middle of the Tyrolean Alps, you find a fabulous castle taken straight out of a fairy tale. 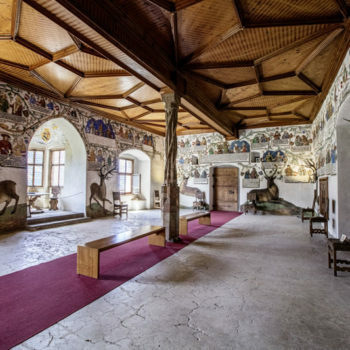 Enter Tratzberg castle, and step into the Renaissance. 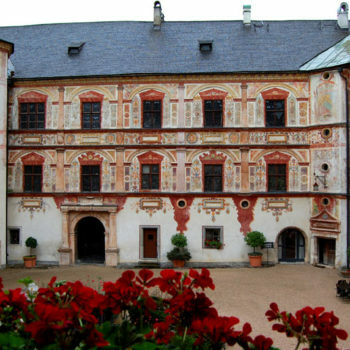 Tratzberg Castle has overlooked the Inn Valley since the 13th century from its perfect hillside location, less than a kilometre from the river Inn. 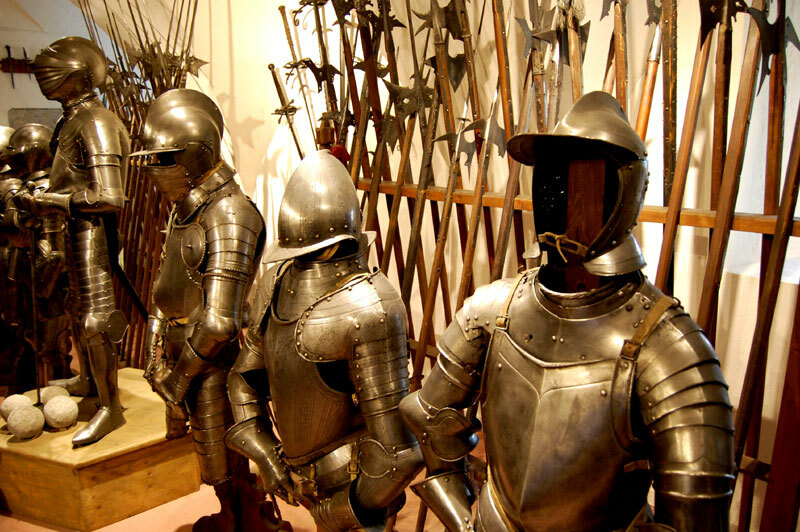 After Tyrol’s independency from the Duchy of Bavaria in the 12th century, the local noblemen needed strongholds to defend their newly acquired freedom. Thus, a fortress was constructed at a strategic location. The white washed castle walls firmly stand out from the lush green surrounding forest. Perched on the hillside, 100 metres above the Valley floor, the castle demanded respect when it was built. 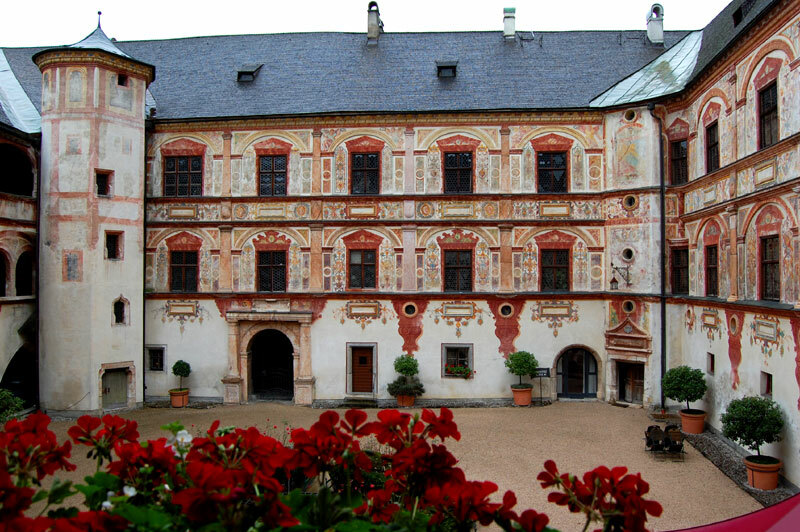 The blending exterior does not, however, match the magnificent interior of the palace. It’s called Schloss in German means palace, which in this case is a more accurate description. Although we didn’t see any on our tour of the palace, I’m sure that there are some dark dungeons hidden away somewhere. We only saw the stately dwellings of the nobles. Notwithstanding, the darker side of mediaeval society, must rest for now. 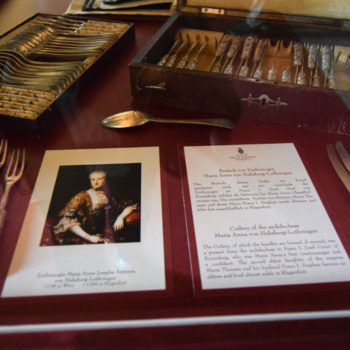 Because, you what you get see of Tratzberg is a great insight, however small, to the life of high society in Habsburg Austria. 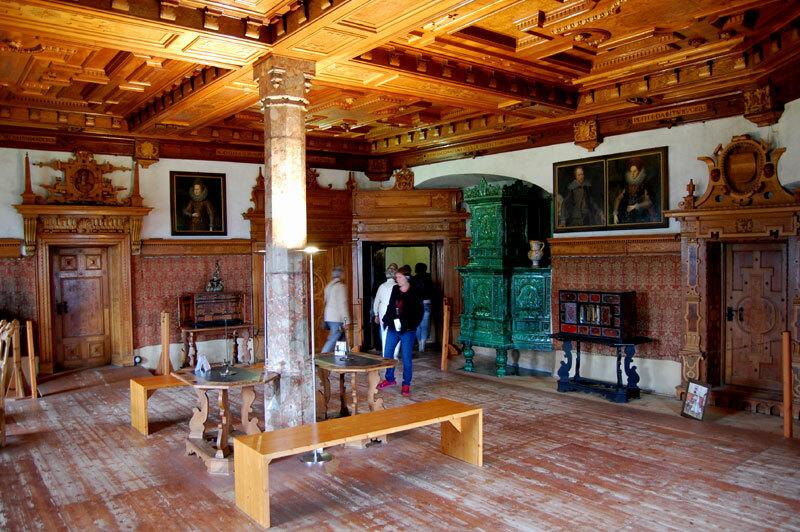 After all, Tratzberg Castle was Emperor Maximilian’s I hunting-lodge. As it often happened, the at that time fortress was destroyed by fire in the 1490’s. 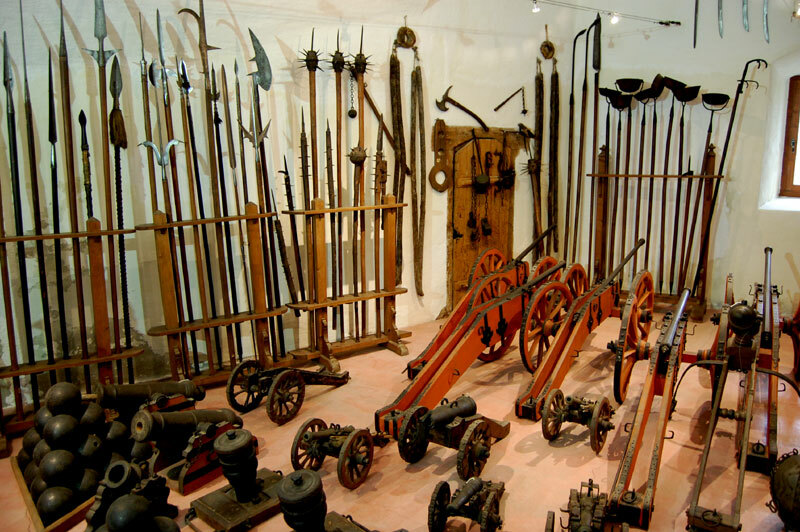 However, the former fortress was rebuilt and lavishly decorated into a palace. 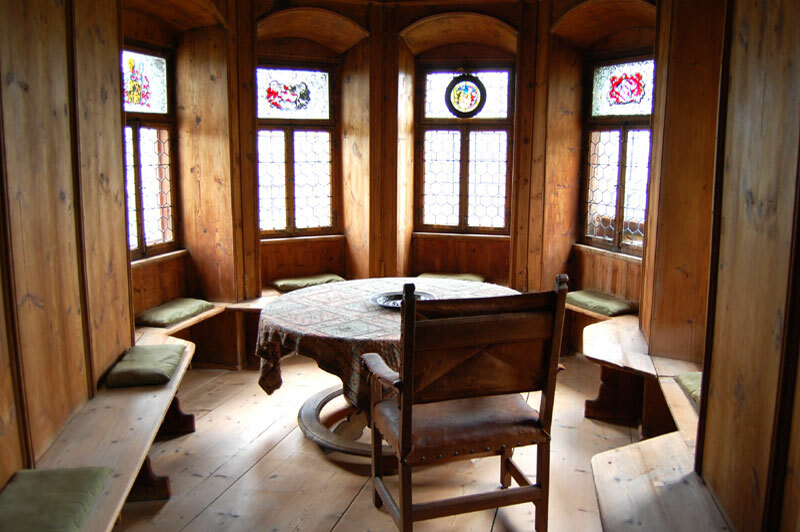 The Schloss Tratzberg you see today originates from 1553, when the former fortress and hunting lodge was rebuilt into a grand palace – within the walls of a castle. 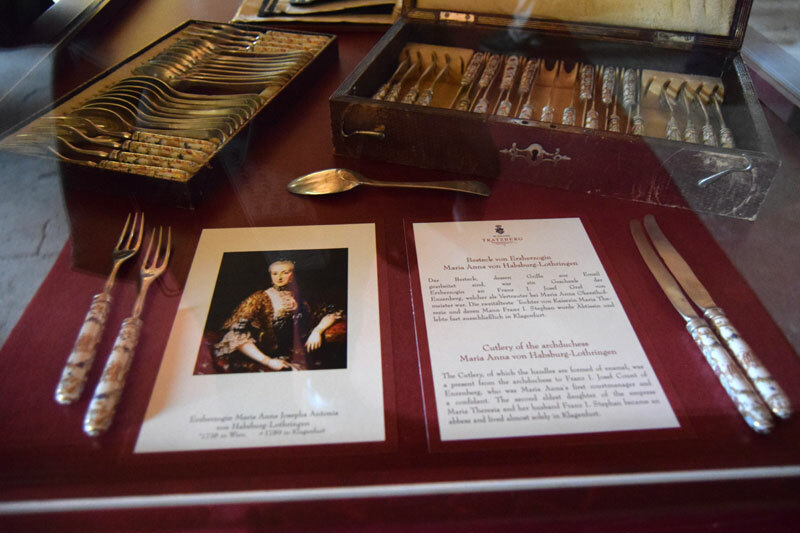 Step inside the palace, and enter the Renaissance. 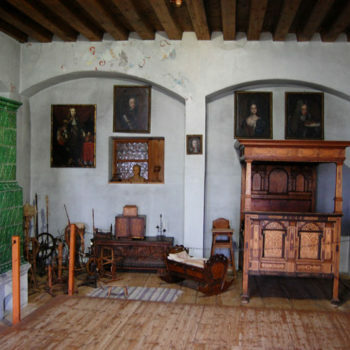 Most of the interior, furniture and other items are from the late Middle Ages to the Renaissance. 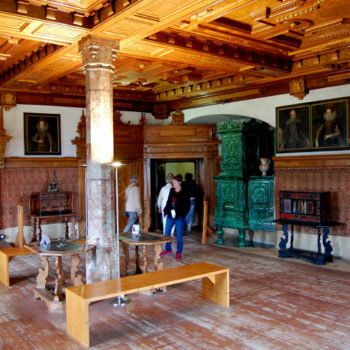 The great halls, such as the Hunting Hall and Habsburg Hall showcase the architectural grandeur that was necessary in those days to impress your peers. 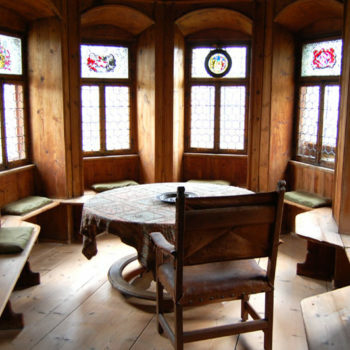 The furniture bedrooms, for example, display more practical and useful objects. 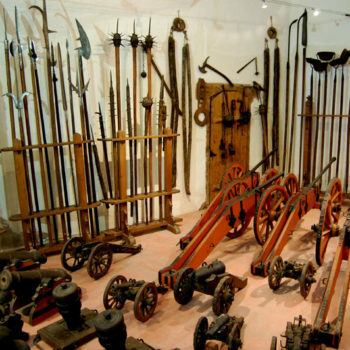 The last stop on the guided tour takes you to the armoury, that has a vast collection of historical arms, body armour, and yes – torture instruments. Finally, when you have finished the tour stay behind and enjoy the splendid courtyard. 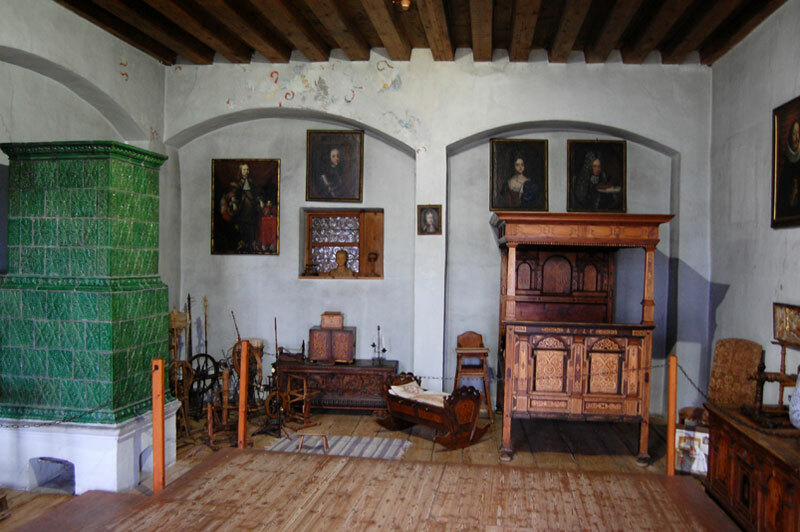 Tratzberg Castle is more than just a museum. 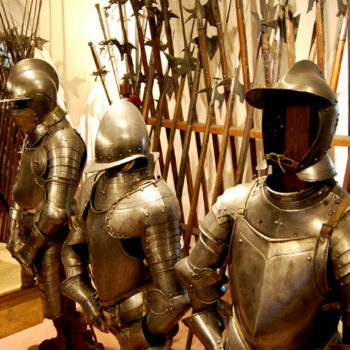 The privately owned castle arranges an array of different events, such as weddings, wine recaptions or seminars. 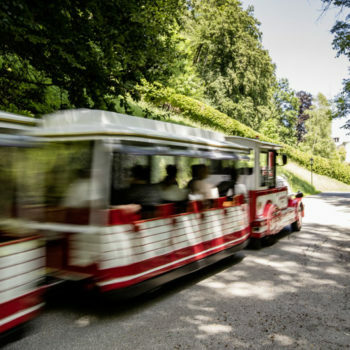 Furthermore, to make the experience for exiting for children, there are separate tours and the exhibitions have special made features for the kids. There are good parking facilities below the castle, next to the road. 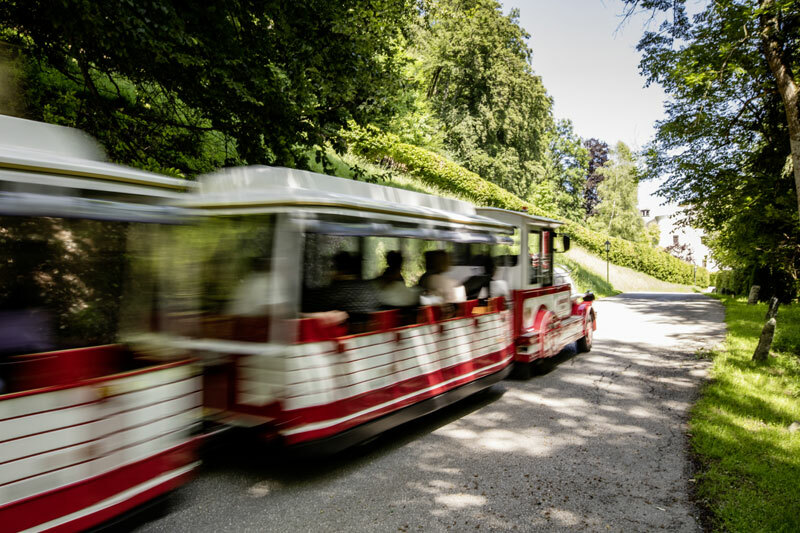 If you don’t feel like a steep walk of about 15 minutes up to the castle, you can pick up the Tratzberg Express (€ 1,50), that leaves just next to the restaurant Schlosswirt Tratzberg.